Artistic director Emere Wano is no stranger to the World of Music, Arts and Dance. In the lead up to WOMAD NZ, Emere tells Dione Joseph about her journey with the festival and the cultural capital it creates for Taranaki and NZ. And that’s one of the quintessential features of WOMAD: the music, dance and festival experience should be about exploring the unknown. Coming from someone who not only managed a food stall, went on to program for kidzone, and then after a few years proceeded to become an artist liaison, it’s easy to see why the former associate director is now at the helm of one of the world’s iconic music festivals. When we talked last week, the party was just about to get started. It took a huge leap of faith for a small arts trust to approach a leading international arts company but after three bi-annual festivals the decision was made to go annual in 2008. Since then WOMAD has seen ongoing and continued support both from locals and across New Zealand. 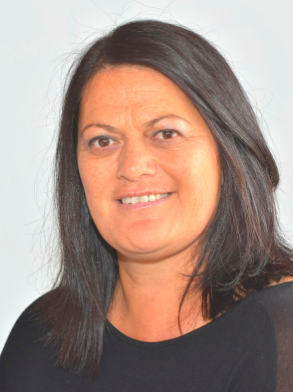 Having worn multiple hats in the industry and working across numerous festivals (including the NZ Festival) as well as working with Toi Maori, Wano is a champion of recognising the cultural capital, including the social and economic benefits that festivals generate for the community. Underpinning the event, which Wano describes for first-timers as “a feast of sights and sounds you may never have heard before”, is an unwavering emphasis on education, not in its institutionalised form but an emphasis on providing “insight into our own culture and to cultures other than our own”. She promises that this year’s festival will continue the tradition to transcend boundaries and barriers through an immersive world of music, arts and dance.